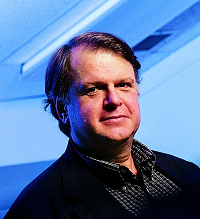 John S. Baras holds a permanent joint appointment as professor in the department of electrical and computer engineering and the Institute for Systems Research. He was the founding director of ISR, which is one of the first six National Science Foundation engineering research centers. Dr. Baras is the Lockheed Martin Chair in Systems Engineering and is the founding and current director of the Center for Hybrid and Satellite Communication Networks, a NASA commercial space center. He also serves as a faculty member of the university's Interdisciplinary Program in Applied Mathematics and an affiliate professor in the Computer Science Department. Dr. Baras’ research interests include scaleable multicast security; integrated management of hybrid communication networks; modeling and performance evaluation of large broadband hybrid networks; fast internet over heterogeneous (wireless-wireline) networks; manufacturing process selection for electromechanical products; intelligent control; wavelets; robust speaker identification; low complexity, high fidelity, low rate speech coding; image processing and understanding; learning clustering algorithms and classification; distributed control (or decision) systems; stochastic dynamic model building; stochastic control and scheduling; real-time sequential detection and estimation; computer-aided control systems design; queuing systems; quantum communications; nonlinear systems; and radar systems modeling and performance evaluation and distributed parameter systems. A Fellow of the IEEE, Dr. Baras has served the organization in various leadership positions. He also serves on the editorial boards of numerous mathematics and engineering journals and book series, and consults extensively with industry and government on various automation and telecommunication problems. He is the recipient of two Invention of the Year awards from the University of Maryland, holds two patents, and has received many awards for his research and publications. Dr. Baras received his B.S. in electrical engineering from the National Technical University of Athens, Greece, and the M.S. and Ph.D. degrees in Applied Math from Harvard University. Dear President Masada, colleagues, students, ladies and gentlemen. I am deeply moved by this award and honor, and truly humbled to join a group of such stellar members of our extended systems and control community, several of whom have been my mentors, teachers and role models throughout my career. I am grateful to those who nominated me and supported my nomination and to the selection committee for their decision to honor my work and accomplishments. I was fortunate through my entire life to receive the benefits of exceptional education. From special and highly selective elementary school and high school back in Greece, to the National Technical University of Athens for my undergraduate studies and finally to Harvard University for my graduate studies. My sincere and deep appreciation for such an education goes to my parents who distilled in me a rigorous work ethic and the ambition to excel, my teachers in Greece for the sound education and training in basic and fundamental science and engineering and to my teachers and mentors at Harvard and MIT (Roger Brockett, Sanjoy Mitter and the late Jan Willems) and the incredibly stimulating environment in Cambridge in the early 70’s. Many thanks are also due to my students and colleagues at the University of Maryland, in the US and around the world, and in particular in Sweden and Germany, for their collaboration, constructive criticism and influence through the years. Several are here and I would like to sincerely thank you all very much. I am grateful to the agencies that supported my research: NSF, ARO, ARL, ONR, NRL, AFOSR, NIST, DARPA, NASA. I am particularly grateful to NSF for the support that helped us establish the Institute for Systems Research (ISR) at the University of Maryland in 1985, and to NASA for the support that helped us establish the Maryland Center for Hybrid Networks (HyNet) in 1992. I would also like to thank many industry leaders and engineers for their advice, support, and collaboration during the establishment and development of both the ISR and HyNet to the renowned centers of excellence they are today. Most importantly I am grateful to my wife Mary, my partner, advisor and supporter, for her love and selfless support and sacrifices during my entire career. When I came to the US in 1970 I was debating whether to pursue a career in Mathematics, Physics or Engineering. The Harvard-MIT exceptional environment allowed me freedom of choice. Thanks to Roger Brockett I was convinced that systems and control, our field, would be the best choice as I could pursue all of the above. It has indeed proven to be a most exciting and satisfying choice. But there were important adjustments that I had to make and lessons I learned. I did my PhD thesis work on infinite dimensional realization theory, and worked extensively with complex variable methods, Hardy function algebras, the famous Carleson corona theorem and several other rather esoteric math. From my early work at the Naval Research Laboratory in Electronic Warfare (the “cross-eye” system) and in urban traffic control (adaptive control of queues) I learned, the hard way, the difficulty and critical importance of building appropriate models and turning initially amorphous problems to models amenable to systems and control thinking and methods. I learned the importance of judiciously blending data-based and model-based techniques. In the seventies, I took a successful excursion into detection, estimation and filtering with quantum mechanical models, inspired by deep space laser communication problems, where my mathematical physics training at Harvard came in handy. I then worked on nonlinear filtering, trying to understand how physicists turned nonlinear inference problems to linear ones and investigate why we could not do the same for nonlinear filtering and partially observed stochastic control. This led me to unnormalized conditional densities, the Duncan-Mortensen-Zakai equation and to information states. This led me naturally to construct nonlinear observers as asymptotic limits of nonlinear filtering problems and the complete solution of the nonlinear robust output feedback control problem (nonlinear H-infinity problem) via two coupled Hamilton Jacobi Bellman equations. We even investigated the development of special chips to implement real-time solutions, a topic we are revisiting currently. With the development and progress of the ISR I worked on many problems including: speech and image compression breaking the Shannon separation of source and channel coding, manufacturing processes, network management, communication network protocols, smart materials (piezoelectric, shape memory alloys), mobile wireless network design, network security and trust, and more recently human-machine perception and cognition, networked control systems, networked cyber-physical systems, combining metric temporal logic and reachability analysis for safety, collaborative decision management in autonomous vehicles and teams of humans and robots, new analytics for learning and for the design of deep learning networks mapping abstractions of the brain cortex, quantum control and computing. Why I am telling you about all these diverse topics? Not to attract your admiration. But because at the heart of all my works are fundamental principles and methods from systems and controls, often appropriately extended and modified. Even in my highest impact (economic and social) work in conceiving, demonstrating and commercializing Internet over satellite services (with billions of sales world-wide – remember me when you use Internet in planes over oceans), we modified the flow control algorithm (the TCP) and the physical path, to avoid having TCP interpret the satellite physical path delay as congestion. That is we used systems and control principles. Our science and engineering, systems and control, has some unparalleled unifying power and efficiency. That is, if we are willing to build the new models required by the new applications (especially models requiring a combination of multiple physics and cyber logic) and if we are willing to learn and apply the incredible new capabilities and technologies that are developed in information technology and materials. As is apparent especially in this conference (ACC), and in the CDC conference, by any measure, our field is exceptionally alive and well and continues to surprise many other disciplines by its contributions and accomplishments, which now extend even in biology, medicine and healthcare. So for the many young people here, please continue the excitement, continue getting involved in challenging and high impact problems, and continue the long tradition and record of accomplishments we have established for so many years. And most importantly continue seeking the common ground and unification of our methods and models. 1) Considering networked control systems we need to understand what we mean by a “network” and the various abstractions and system aspects involved. Clearly there are more than one dynamic graphs involved. This needs new foundations for control, communication, information, computing. 2) Systems and control scientists and engineers are the best qualified to develop further the modern field of Model-Based Systems Engineering (MBSE): the design, manufacturing/implementation and operation of complex systems with heterogeneous physical, cyber components and even including humans. 3) The need for analog computing is back, for example in real-time and progressive learning and in CPS. Some of the very early successes of control were implemented in analog electromechanical systems due to the need for real-time behavior. Yet we do not have a synthesis theory and methodology for such systems due to the heterogeneous physics that may be involved. Nothing like we have for VLSI. Thank you all very much! This is indeed a very special day for me!